Despite the bold lettering indicating Mario’s 25th anniversary, this is a bit misleading. I assume Super Mario All-Stars is referencing the fact that it was 25 years ago that the original Super Mario Bros. was released on the NES. Contrary to popular belief, this was not Mario’s original debut. Mario actually made his first appearance in 1981’s Donkey Kong, although he was called Jumpman in Japan. Now that I got all the technicalities out of my system, it’s clear that Nintendo wanted to celebrate something, so we now have four classic Mario titles on a Wii disc, sold together in a collector’s edition box. However, these titles have been released and re-released so many times, is it even worth it to take the plunge yet again? 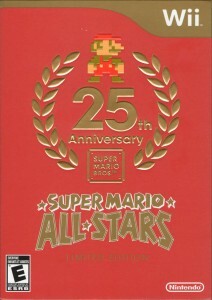 The games included in this set are the same as those featured in 1993’s Super Mario All-Stars on the SNES, which include Super Mario Bros., Super Mario Bros.: The Lost Levels, Super Mario Bros. 2, and Super Mario Bros. 3. 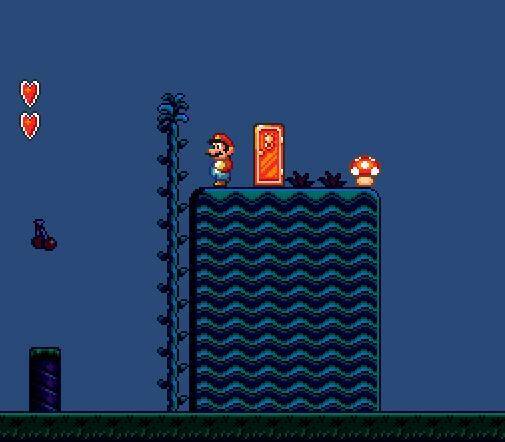 If you’ve never played a Mario game before, they all play out pretty much the exact same way. In Super Mario Bros. (and The Lost Levels for that matter), you play as Mario (or Luigi) and must rescue the princess of Mushroom Kingdom from the clutches of King Koopa (better known as Bowser for you younger folk). 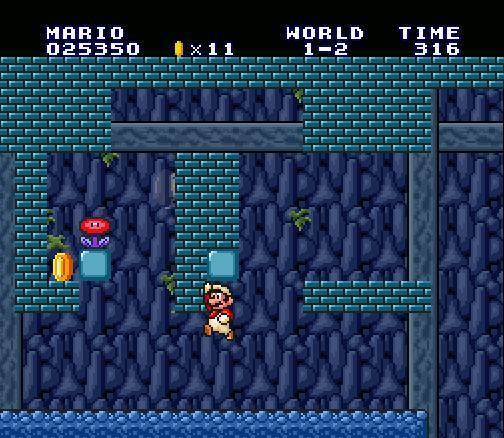 Your quest usually takes you through a number of castles which are believed to house Princess Toadstool (a.k.a. Peach). Often times, it turns out that the King Koopa you were fighting is a fake and the Toad that you rescue calmly informs you that your princess is in another castle. Super Mario Bros. 3 has you navigating giant airships rather than castles, and they have the tendency to move around the map if you happen to fail in your attempts at rescue. Instead of fighting fake Bowser clones, you encounter the Koopa Kids, which are his nieces and nephews, that fight in his stead. After defeating them you’ll obtain a wand that can restore that realm’s king back to his original form. You’ll also typically receive a letter from the princess herself enclosing a useful item that will aid you in the remainder of your quest. Super Mario Bros. 2 is a bit of a black sheep amongst its brethren on this disk and in comparison to other Mario games in general. In fact, it’s not even a Mario game at all. Super Mario Bros.: The Lost Levels is the real Super Mario Bros. 2, but Nintendo felt that the game would be too hard for American audiences. So instead, they took another game called Yume Kojo: Doki Doki Panic, reskinned it with Mario characters, and sold it in the U.S. as Super Mario Bros. 2. As a result, you are no longer trying to save the princess; heck, you can even play as the princess if you so choose, as well as Mario, Luigi, or Toad. Ironically, despite being an imposter in Mario’s clothing, many of the enemies you encounter in this title end up being featured in future Mario titles anyway, such as Birdo and the Shy Guys. 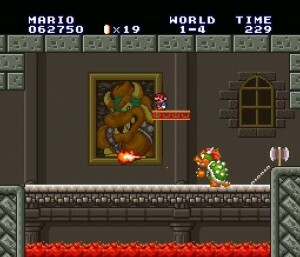 So, if Mario is not trying to save the princess, then what is he doing? Dreaming, apparently. You see, a race of fairies talks to Mario in his dreams to inform him that a villain named Wart has taken over their land of Subcon and they need his help. After waking up, Mario approaches Luigi, Toad, and Peach with this dream, and as they talk it over during a picnic in the mountains, they discover a cave nearby. 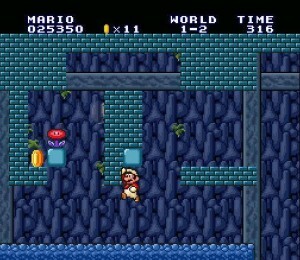 Inside this cave is a stairway that leads to a door similar to the one Mario sees in his dream. Stepping into it brings them to the land of Subcon where the adventure begins. Outside of RPG’s, to even have a storyline at all in an 80’s video game was pretty rad, so there’s some points there. However, despite the fact that current gen Mario titles are still using the defeat-Bowser-to-rescue-the-princess plot device, the story has never been the focus of these titles. It’s merely there to serve as an excuse for Mario to leap chasms and stomp heads and to that end, it does its job. If you’ve ever played Super Mario World on the SNES or on the Virtual Console, you should have a pretty good idea of what the visuals are like here. 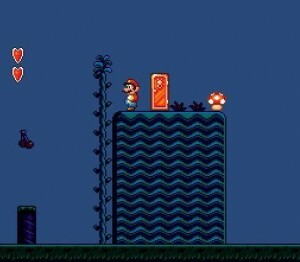 Rather than remain in their original NES forms, each of the games has been updated to match the 16-bit era of graphics. This means that all of the character sprites are bigger, and there is actually scenery in the background now rather than a plain blue or black screen like there was before. It’s a little disappointing that the visuals couldn’t have been updated further, as these games look exactly as they did on the SNES almost two decades ago. This isn’t to say they are ugly or that it bothers me to look at it or anything. It’s just a shame, since this compilation is an opportunity to introduce the younger generation to the kinds of Mario games that myself and many others grew up with, and it may have been an easier pill to swallow if they looked a little more like say, New Super Mario Bros. Wii. 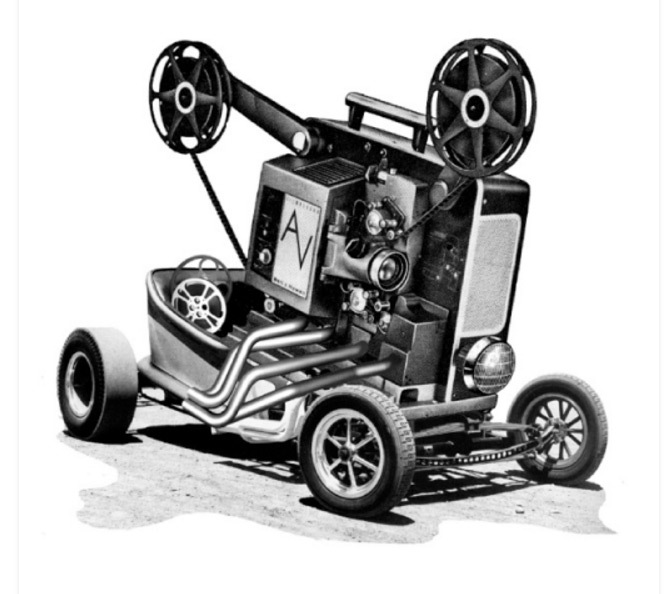 Like the visuals, the soundtrack has been updated to take advantage of more powerful hardware. The same classic tunes are all there, but they don’t sound as tinny as they did back in the 8-bit era. This might disappoint the purists out there that quite enjoyed the NES versions of the songs (I enjoy them too), but there’s always the Virtual Console ports available if it’s a real issue. 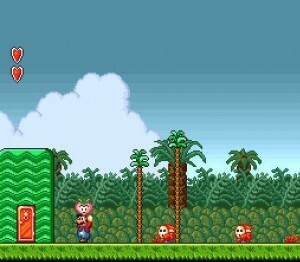 I think they did a good job of remaking the songs, as it sounds very reminiscent of Super Mario World. The sound effects too have been updated to meet the standards of the SNES hardware. 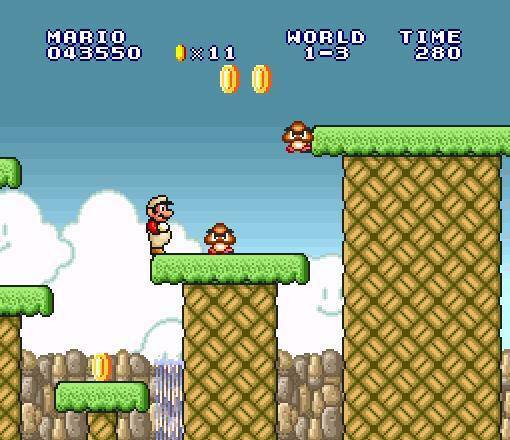 In fact, it seems like many of them came directly from the aforementioned Super Mario World. Not that that’s a bad thing mind you. 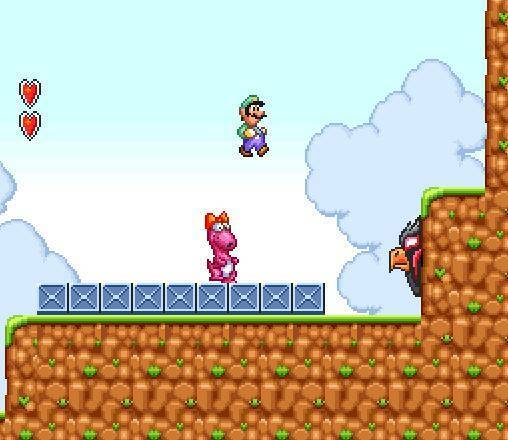 Even though the original Super Mario All-Stars didn’t have this, I wish they had implemented the voices of the Mario characters into the game much like they did with the Super Mario Advance series on the GBA. Despite how good everything else sounds, it just seems like a missed opportunity. The entire collection can be played with either the Wii remote turned sideways, with the classic controller, or a Gamecube controller. I preferred the Wii remote, personally, since it’s the most reminiscent of playing these games on the original NES. You use the directional pad to move, the 1 button serves as your action button depending on what game you’re playing (whether it be picking things up, dashing, shooting fireballs, etc) and the 2 button allows you to jump. All the functions are as responsive as they ever were, so it’s nice that everything made the transition to the Wii intact. If you haven’t played the games in this collection (don’t feel ashamed if you haven’t, as that’s what this collection is for), then let me give you a breakdown of the flow of each game. In Super Mario Bros. and The Lost Levels, your goal is to make it to the flag pole in each level. You run from left to right, dodging whatever obstacles are in your path, in order to reach this goal. You begin with three lives before the game is over, and you will lose a life each time you get hit or fall in a hole. If you can grab a mushroom or fire flower, getting hit will cause you to change back to normal instead. Enemies can generally be disposed of by jumping on their head or being shot with fireballs. You continue this pattern until the end is reached and the princess is saved. Super Mario Bros. 3 plays out much the same way, except you have an overworld map to navigate around on that shows you which levels you have cleared, which you haven’t, and how far you have to go to get to the end. 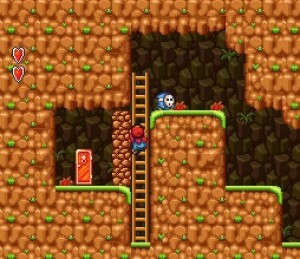 It introduces new abilities in addition to being able to shoot fireballs, such as a raccoon tail that allows you to fly in short bursts, a frog suit for underwater adventures, a hammer brother suit for throwing hammers, and a tanooki suit that behaves similarly to the raccoon suit, except it can turn into a stone statue to hide from enemies. And no, I don’t know what kind of animal a tanooki is, so I can’t help you there. 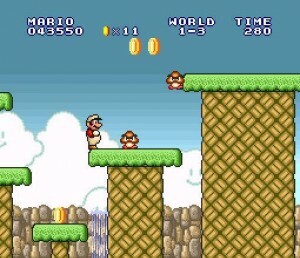 In Super Mario Bros. 2, you still have to reach the goal in each level, but rather than jumping on the heads of your enemies to squish them, you actually have to pick them up and throw them into your other enemies. In some cases, they even shoot projectiles at you, such as eggs that must be jumped on and thrown back. Since you can choose between four different characters, each one has their own advantages and disadvantages for use. Mario doesn’t get bounced back when he gets hit like his compatriots do. Luigi does a flutter kick of sorts that allows him to jump higher and farther. Toad is quick and can not only run faster, but pick things up quicker. The Princess has the ability to glide in the air for short bursts, making it easier to leap wide chasms. I never really understood why that last one was. Perhaps her dress acts as a sort of hang glider? Some of these titles can be played with two players, but the multiplayer is not the same as it was in New Super Mario Bros. Wii. Rather than having both players on screen at the same time, you have to take turns. Whenever a player dies or, in the case of Super Mario Bros. 3, completes a level, control then switches to the other player, and they alternate until the game is over. One easter egg of sorts that was included in the original release of SMB3 that is still present on this version is the inclusion of the original Mario Bros. Unlike the other Mario games, you can’t just jump on your enemies to defeat them. You wait until they come out of pipes at the top of the screen and then hit the ground from underneath them. This flips them over on their back which allows you to run up and kick them to their doom. You do this until all enemies are defeated. 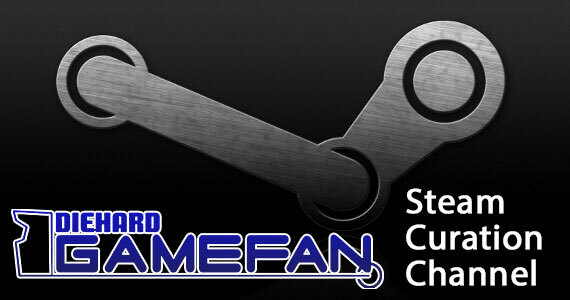 This was put in the game as a form of competitive multiplayer, as the main reason for doing it is to take the cards of the other player that are awarded at the conclusion of each level. Depending on what cards you have, you may be awarded extra lives when you collect three. Not only that, but the winner of the battle also gets to take control of the game and pick the next stage they wish to complete. Despite being on a new system with a new controller, there have been no significant changes to these games. Not that they really need it of course. The Super Mario Advance versions may have received some additional extras, but since you’re getting four games for the price of what one of those cost at retail, it’s hard to complain too much. Besides, all of the games are just as fun as they ever were, and as they say, if it ain’t broke, don’t fix it. What you’re getting is four games in one package that, in my opinion, are endlessly replayable, despite their short length. Growing up, every time I played one of these games I discovered something new, and it’s not as if I was skilled enough to finish them on my first time through. The Lost Levels in and of itself will take many a gamer weeks, if not months, to master due to its sadistic difficulty level. The problem is, in this age where a game’s quality is measured by how many hours it takes to reach the end, or how many different endings you can unlock with each playthrough, do the younger gamers even care anymore? All the titles on Super Mario All-Stars can be finished in less time than New Super Mario Bros. Wii even without knowing where all the shortcuts are. Only time will tell I suppose, but the generation of gamers that grew up with these titles know just how much these games can be played and will appreciate them just as they are. Simply put, these games are hard, especially if you’ve never played them before or played many platformers in general. I personally had an easy time with them, but I have every game committed to muscle memory at this point and it took many years of mastery to get to that level. Despite that though, you never feel as if the game is being unfair to you. Hell, it even saves your progress after each level, which is a luxury we never had in the 80’s. This is especially useful for a game like The Lost Levels. Seriously, if games were a torture device, then this title is the iron maiden. It introduces poison mushrooms which can kill you if you’re small, and they look very similar to the regular mushrooms. On top of that, this title has some of the craziest jumps I’ve ever seen in a video game, and it expects you to do them. I’ve had many a SNES controller almost fall victim to my rage after a couple rounds with this game. One minor quirk that really only means anything to the vets that have played these games before, is the fact that Mario’s larger stature makes it tough to pinpoint jumps in your head. All of the sprites are much bigger now, and since Mario’s little legs are no longer pixelated to the point where you can tell exactly how many squares of land you have left before you fall, Super Mario All-Stars eliminates that. This is more an issue with Super Mario Bros. and The Lost Levels, where precision jumping is the name of the game, and something like this can really mess with your timing. Again, minor quibble, but worth mentioning. Basically, this is the exact same game as the 1993 SNES title of the same name. That’s a shame, because there was a real potential to bundle a couple of other relevant games in this collection, such as Super Mario World, Donkey Kong, or even Super Mario 64. Instead, what you have is essentially a Virtual Console game slapped onto a Wii disk and sold with a few extras. While the extras are nice, the effort that went into retooling the game itself to fit the Wii seems to lack any sort of effort whatsoever, and as such, it comes across as a missed opportunity. Especially since all the games featured can be purchased on the Virtual Console for less than what this collection costs. As I mentioned above, I feel that each of the titles featured on this collection, particularly SMB1 (which was recently inducted into our Hall of Fame) and SMB3 are endlessly replayable and are still fun to play after over two decades. That’s an incredible feat to have games as timeless as these and to have more than one of them bundled together. Seriously, when I first popped this into my Wii, I had to be pulled away since I was determined to marathon the whole damn collection in one go. If you have any nostalgic ties to these titles, you will likely do the same. Normally, I’d say “Um, it’s a Mario game, that’s as mass appeal as you can get,”Â but this game is a bit of a special case. Since this is the same game as the SNES version of Super Mario All-Stars, unless you are a serious collector, there is no need to purchase this version if you still have your SNES. There’s also the fact that all of the titles in this collection has been released on the Virtual Console (although they still maintain their inferior graphics) so even the gamers who bought those will have little to gain by picking this one up again. The age of the titles may be a tough sell to younger gamers, though if they enjoyed any of Mario’s newer releases, they should get a kick out of them. The collectors and Mario enthusiasts should especially enjoy all the goodies that were bundled with the game. Aside from the disk that contains the actual games, there is also a second CD in the box that includes a soundtrack. It contains not just tunes from the games featured in the collection, but tracks from across all Mario games of all generations. The second half of the soundtrack also has a bunch of sound effects from the Mario universe such as coin collecting or powering up. I wish there could’ve been more, but what consumer doesn’t, am I right? Aside from the nice, gold colored box that the game comes in, you also get a little booklet containing some Mario history, including quotes from Shigeru Miyamoto himself. It was also interesting to see the concept sketches from when the original Super Mario Bros. was originally being conceived. Again, I really like what’s here, but I really wish there could’ve been more interviews and other things of interest to the fans. After all, it’s the 25th anniversary of SMB isn’t it? Nintendo should celebrate it with style and offer a collector’s edition that no one can ever forget. One thing I have to take issue with, more so than the price (which actually isn’t that bad even though you can acquire all the games on the Virtual Console for about $21), is how much Nintendo limited the availability of it. I personally did not have an issue acquiring Super Mario All-Stars for myself, since I pre-ordered it several months ago. 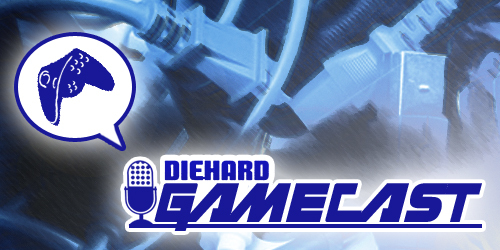 However, after talking with a number of retailers in the area, there is only going to be one shipment of this game. Which means, by the time you read this, you will likely pay twice the $30 MSRP to acquire a copy via the internet. I understand this is a collector’s edition and all, but why not have a regular edition for people who just want to play the damn game? Why give power to the online scalpers? As it stands now, Super Mario All-Stars is destined to share the same fate as Metroid Prime Trilogy and The Legend of Zelda: Collector’s Edition on the Gamecube in that if you missed out on it during the initial print run, expect to pay a premium. Super Mario All-Stars is literally the same exact game that was released on the SNES in 1993, for better or for worse, so unless you are a serious collector, there isn’t much incentive to upgrade your copy to the Wii version. That aside, the four games featured in this collection are some of the best that both the Mario franchise and platformer genre in general have to offer. If you’ve sold off your previous copies of these games or have never played them before, you owe it to yourself to pick up this collection. For everyone else, it’s a matter of how badly you want the book and soundtrack. If the answer is “not that bad”Â, then stick with whatever versions of these games you have, as there is nothing in the way of new content or extras. Still, $30 isn’t bad for what you’re getting, and it’s hard to be too upset if you are the recipient of such awesome titles. a) The PAL version still runs in 50hz, with slower gameplay and framerate, just like it did back in the day. So essentially, European and Australian gamers are playing the same price for less, because Nintendo said we have to. b) The CD and booklet aren’t nearly worth it. The CD is less than half an hour long and 10 of its 20 tracks are just sound effects. The booklet features some of the most basic commentary on games I have ever read. c) This collection, as a celebration of Mario’s 25th, could have and should have been so much more. They could have easily, EASILY included games such as Super Mario Land 1 and 2, Yoshi’s Island, the arcade versions of Donkey Kong and Mario Bros, heck, they’d even have enough space to put Super Mario Sunshine on after all that! And if they didn’t want to include all that, then the least they could have done was update the graphics for the 4 games that are on the disc so they look something like New Super Mario Bros Wii. I’m sure a lot of people (like me) would have paid full retail price for something like that, even if it didn’t have a crummy CD and booklet.